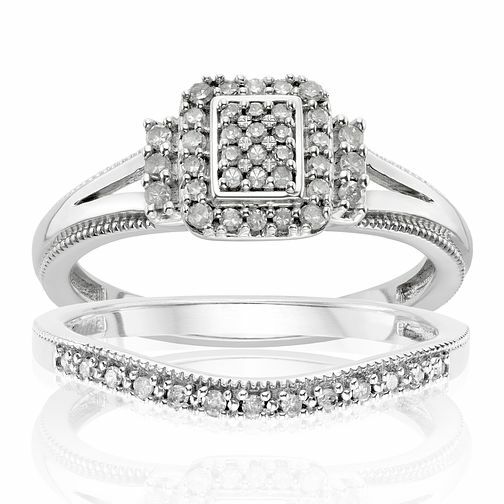 Let your love shine with this stunning diamond bridal set from Perfect Fit. Crafted from sleek argentium silver for a gleaming look, this stunning set features a princess style diamond cluster ring with split shoulders and milgrain detailing, and is finished with a matching diamond set wedding band for comfort, style and fit totalling 1/4 carat of diamond. Argentium Silver 1/4ct Diamond Perfect Fit Bridal Set is rated 2.9 out of 5 by 13.